Oracle has offered many new features in R12.In this post I will talk about the Introduction of the workflow in Oracle Application Shipping Module offered in R12. In R12 Oracle Shipping (WSH) is utilizing the workflow. Automate the Shipping business process by adding them in the Shipping workflow. Routing based on the business rules. Best of all now with workflow user can visualize the Shipping process, by means of workflow monitor and thus improve our visibility. Integration with the 3rd party APIs will be easy , we can just add them where every they requited by customizing the workflow. In case we want to Print the documents at some point in the shipping flow, just add the Print document activity in the flow and it will get printed when workflow reaches to that activity. With workflow Audit Trail of acativites is easy. Other Advantage that we always expect from the Oracle Corp. is this workflow is optional, if you business need them enable them other wise keep them disable. With out Workflow your application behaves just like the previous releases. You can’t add an activity in this workflow that required response from user. Extension of a workflow Defer activity not supported in this workflow. These workflows are available for Individual delivery . Purging - Oracle has provide program to purge the Obsolete workflows, also Shipping has it’s own program to purge workflow that are obsolete or delivery is already closed. Ship-To-Delivery (Sub process for Ship Conform). Please Note that Shipping workflow as of now available for outbound activities . This workflow will triggered as soon as an order line required picking is assign to a delivery. Please Note that Order line and Shipping workflow are 2 different things and not related to each other and it is not possible to drill down one flow from another. It got triggered when a Delivery got created and First delivery assigned to it. As stated earlier advantages of the Oracle is everything is pick and choose , you can enable /disable this workflow as per your requirement , If you don’t want this workflow , just disable It. 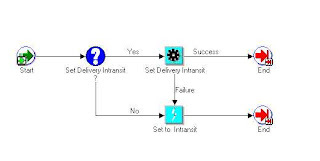 That means if you are interested in the Delivery and Trip workflow and you don’t want Ship Confirm (Ship To Delivery) flow you can just disable the Ship Confirm flow and keep other flow. Shipping workflow has introduced lots of the business events, which when raised/received take the required actions (like calling of other workflows etc). These too again are optional and can be enable / disabled. If we look closely all these workflow , we can notice that we have lots of business events in all the flows. Some of events become core and system will not allow us to disable them. It is the business events that made the shipping flow flexible and we pick and choose what ever we like. Shipping Parameters will do the setup only for the Organization level, where as Global Parameter will do the setup at the Application level. Auto Sync between Global and Shipping parameters has been provided. Customer can customized any shipping workflow. Please do not customize/extend the Seeded workflow, rather take a copy of seed workflow as extend as per your requirement. Shipping has provided Lookup setup to assign your custom workflow. We have flexibility to assign custom workflow to all or few of the organizations. 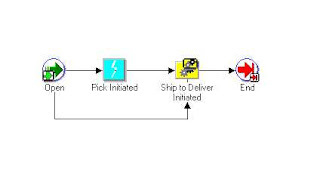 Override Ship To Deliver Workflow – Oracle is Provide this profile option and if mark Yes this will Process the Ship Confirm workflow , In case it got stuck because of some Technical reason. If you need More Info , Please let me know and I will send you COMPLETE article. Thank you for the nice presentation.Also thank you so much for the full document on shipping execution. very good work and presentation about shippping execution, Interested to know more about shipping if you possible send complete article. Good presentation. Could you please send me the complete article..
As widely accepted and adopted by enterprises worldwide, Oracle E-Business R12 Upgrade has been acknowledged as the most stable and reliable version for enterprise applications. Nevertheless, as with any other major changes to business applications, the upgrade to R12 must be planned and carried out carefully to make sure a seamless transition and guarantee business continuity. can you send me complete documentation at sambijinapally@yahoo.com and also if u can explain how to send Shipmconfirm notifications by customsing this workflow and using WSHNOTIF activity. I just send you the complete documentations, for notification can you share your business requirement. Can you pls send me the complete documentation to reachjyotimohanty@gmail.com?